Where do writers write? It's been almost a year since I first posed that question to launch The Write Spot. Since then, I've had the pleasure of meeting two dozen talented authors who've generously invited us into their personal writing spaces. It's been an adventure! 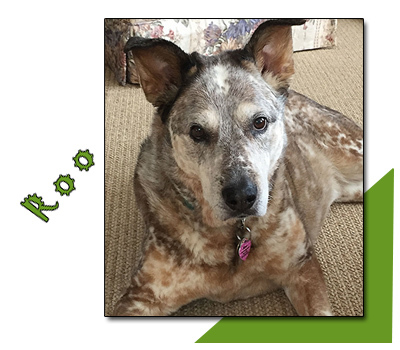 Roo is romance author Donna Fasano's Australian cattle dog mix. As a puppy, Roo ate socks and washcloths, chewed up shoes, tore around the house like a hurricane, and once she even swallowed Donna's engagement ring (everything came out in the end). Donna dubbed her "the wild dingo" for good reason! But Roo is eleven now, a little gray in the muzzle, and she's calmed down a lot. Although those early years were a little crazy, Donna says her life has been truly blessed by Roo. I believe it. Look at the love in those eyes! Visit Donna Fasano's Write Spot. 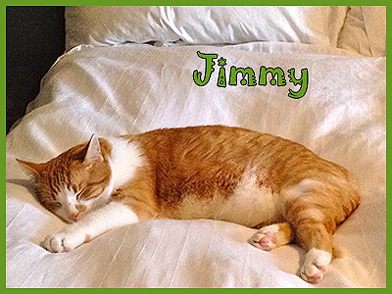 Doreen Pendgracs, author and chocolate tourism guru, captioned this photo, "Jimmy, hogging the bed as usual." But in this instance, Jimmy is lazing around in style, on vacation for the month of January, 2015 at the pet-friendly Spirit Ridge Resort and Spa in Osoyoos, B.C. 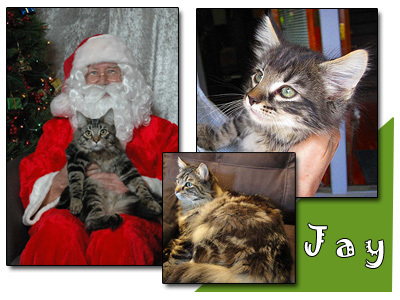 Jimmy also travelled to Vancouver Island with Doreen and her husband Reg for six weeks this past winter. What a lucky cat! Click here to feast your eyes on Doreen, covered head-to-toe in chocolate – all in the name of research. There's more about Jimmy and books, too, of course. 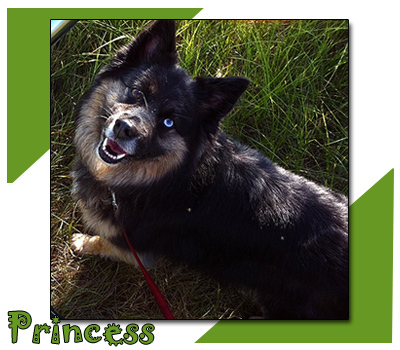 Meet Princess, a gorgeous husky with one brown eye and one blue. Princess shares her home in Yellowknife, Northwest Territories, with Canadian author Annelies Pool. Annelies says, "Princess loves to lie down in a cubby hole by my feet when I am writing (particularly when she’s trying to escape the vacuum cleaner). When I’m stuck or I read a paragraph or two out loud to hear how it sounds, this is the look she gives me (if she’s not sleeping). Sheer adoration. She likes everything I write without reservation, doesn’t care about misplaced modifiers or self-indulgent diatribes. Everybody should have such a fan. She doesn’t buy too many books, though." To see more of Princess and discover Annelies' books, visit The Write Spot of Annelies Pool. Meet Scout the dog and Phoebe the cat, best friends and companions to mystery author Peggy Blair. Peggy says, "Scout was alone with me until I found Phoebe on-line, about to be surrendered to the SPCA, and couldn't resist. From the moment she walked in the door, tail high, it was clear she was at home. Within minutes, these two were pals. Scout had never barked and so I often would let him outside and forget he was there. That first evening, I let him out and heard loud meowing at the back door. Since then Phoebe has always notified me if Scout needs to be let in; in exchange, he's taught her to shake a paw for a treat. They are inseparable. My friends say they are co-dependent." 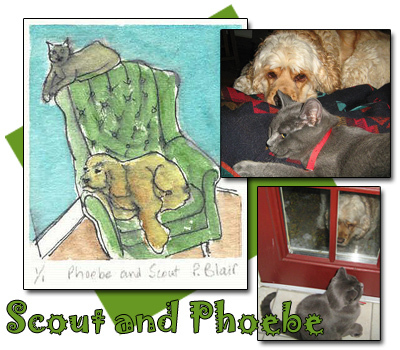 Scout and Phoebe make excellent subjects for Peggy's lovely paintings, too. Visit Peggy Blair's Write Spot for more about this dynamic duo and all the buzz about Peggy's new book. Over fourteen years ago, this lady, Margaret, was living in author Jillian Dagg's garden. Jillian tells me she really didn't need another cat. "I already had two male, ginger and white cats who had taken eleven months to live in cat-style harmony. But through the summer Margaret migrated to a chair with a comfy cushion near the back door, and then inside. 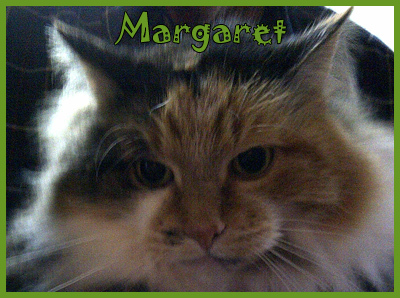 Sadly, the two boys are gone, but Margaret remains. She's about eighteen now and two months ago she had a tooth problem. Surgery and six teeth extracted, she returned home to her same diet, same routine. She's amazing." She sure is! And gorgeous, too. Visit The WriteSpot of Jillian Dagg. Romance author, Fran McNabb, tells me she hasn't had the heart to get another furry pet since losing her beloved 14-year old cat over five years ago. Instead, she finds joy in watching the birds of the bayou where she lives. "The ever-present seagulls, graceful in flight but noisy at times, make me happy," Fran says. "In the photo with dark clouds, they're following our boat down the channel. In another photo, the blue heron that skirts the edges of the marsh grass in search of food decided to rest on the bow of our boat. Hubby wasn’t happy! We also have pelicans, doing a fly-over in the photo to the right, shearwaters (skimmers), ospreys, martins, bridge swallows, and even a bald eagle that keep our lives interesting." 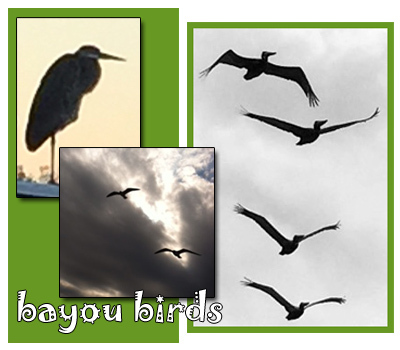 Visit Fran McNabb's Write Spot for views of the bayou and info about her books. 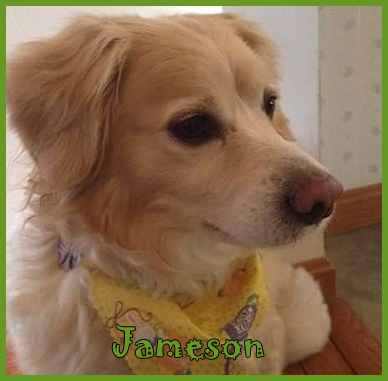 Romance author Rebecca Kertz shares her home with this handsome blond fellow, whose name is Jameson. After an unfortunate buzz-cut, courtesy of an over-zealous groomer, Jameson is in hiding from the camera, so this is an older image. Poor Jameson – I understand how you feel, buddy. There have been a few bad haircuts in my past, too! "Jameson barks at other animals," says Rebecca, "but when it comes to letting us know what he wants, he is as quiet as a mouse. If he's out on our porch, we have to check on him to see if he wants to come in. Otherwise, he lies with his nose pointing to the back door and waits patiently for us to come. When I'm outside working, he's content to jump on a chair and stare through the screen. Other times, he'll jump onto the chaise lounge and lie by my feet." Meet Rebecca Kertz and check out her Amish romance novels at The Write Spot. 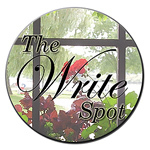 The Write Spot will return in two weeks when we'll visit with Canadian mystery author Linda Wiken (aka Erika Chase), whose new cozy series, The Dinner Club Mysteries, from Berkley Prime Crime launches on July 5th with Toasting Up Trouble. 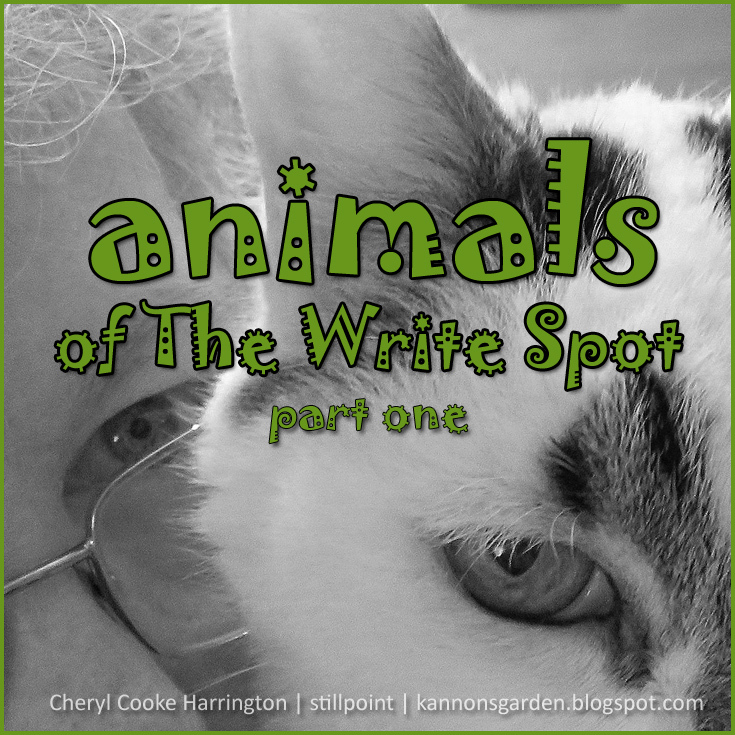 Oh, and Sam the Cat says you should watch for part two of animals of The Write Spot… coming your way on August 3rd. Cheryl, thank you for the post! I love seeing pictures of all those beautiful pets. I'm so glad that my Roo is included! What a well-done post! Love seeing the "behind the scene" of our fellow authors. Thanks for inviting me to be part of it. Thanks for featuring Jimmy, Cheryl. He's spending quite a bit of time lounging in 'his' sunroom these days, as the mosquitoes are SO bad right now here in Manitoba. Excellent post! Love this new series and look forward to meeting more furry children. Thank you all for sharing your Write Spots and your animals - I've had so much fun with this one! What a GREAT blog Cheryl and a great idea to feature animals inspiring writers and I don't say this simply because you have featured Jay! He says thanks for doing this. I love reading about other writer's pets. I wish I could paint as Peggy Blair has done because I would love to paint Jay. I look forward to reading the next two blogs and I think you may have to make this a permanent feature!! I can tell this going to be a great series! Thanks for hosting, Cheryl.